How Safe is Your Home Cooking Gas? Last week, news broke out of a woman who was killed by a cooking gas after it exploded while she was cooking. The deceased, from Gisozi sector in the capital Kigali, left her ailing child after explosion injured the 10-year-old child. Not even the deceased’s house could survive. By the time Rwanda Police’s Safety department arrived at the scene, the house was left into ashes. In a bid to shift from use of firewood and charcoal – the most dangerous source of cooking to the environment, Rwanda embarked on mobilizing citizens to move to gas cooking methods – which scientists proved to be one of the best ways to cut down on environmental degradation. But how safe is using gas at home? Following the Gisozi incident, Rwanda Police insist that most of the fire accidents are preventable. According to Police, the accidents are generally caused by negligence such as; Electrical short circuit (poor electrical installations), Candles; Negligence while using gas cookers, Lightning strikes and Accidents. On Monday, January 21, 2019, Rwanda Police’s commander of Fire and Rescue Brigade, appeared on State Broadcaster to give tips on domestic fire prevention and safety. Never use cooking appliances as heaters. 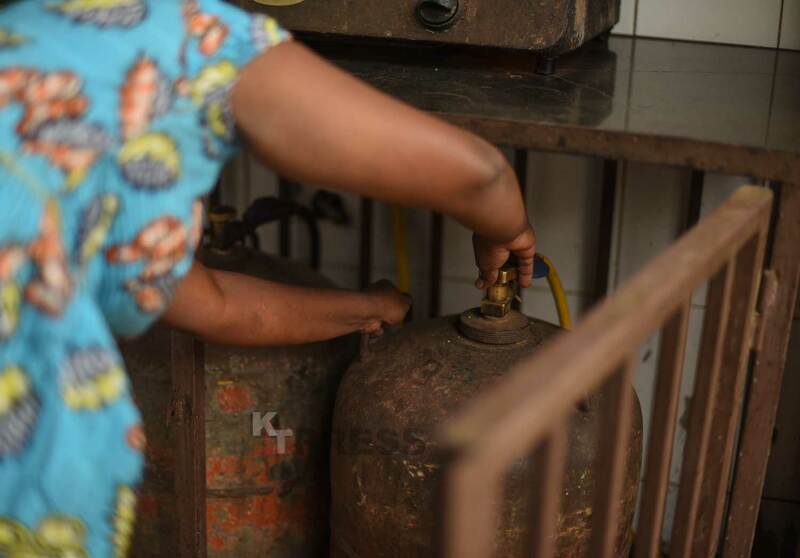 According to Rwanda Police, before buying a gas cylinder, inspect it and ensure it has no possible leakage. While transporting it, maintain it in up straight and firm position. “Do NOT shake it,” Police warns. When cooking with gas, make sure flames do not go out. Gas can escape silently and invisibly. Keep the flame from extending past the pot sides. Have a gas detector installed in your kitchen for early warning. In case of an accident, Police provided hotline numbers for quick intervention. Police urged Gas users to call on: 111, 0788311224, and 0788311120. As of end last year alone, about 10 million kilograms of gas were imported into Rwanda. Whilst, several Rwandans have resorted to use of cooking gas in homes, hotels and other places, the trend is still low. Currently, over 83% Rwandans still depend on firewood and charcoal, whereas a study released by Rwanda Environmental Management Authority (REMA) last year, on inventory of sources of air pollution in Rwanda says that domestic biomass cooking stoves (wood and charcoal) are the primary contributor to poor air quality in residential areas. The study adds that poor air quality is the world’s single largest environmental health risk and was believed to be responsible for the deaths of 6.1 million people in 2016, according to the 2018 State of Global Air Report.